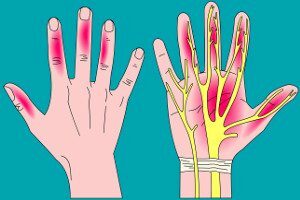 Carpal Tunnel Syndrome is a common condition that causes tingling, pain and numbness of one or both hands. The symptoms of this condition can disrupt sleep, and is often most painful first thing in the morning. We use a combination of massage and acupuncture to help relieve the discomfort of carpal tunnel syndrome. We work holistically, so if there are systemic factors contributing to the carpal tunnel syndrome such as fluid retention, we will aim to treat that as well as the local pain. Carpal tunnel syndrome is cause by compression of the medium nerve as it passes through the carpal tunnel at the wrist. Standard treatments include splinting of the hands at night, steroids and surgery. How can acupuncture help carpal tunnel syndrome? Acupuncture channels cross over the carpal tunnel region and points on these channels can help to disperse stagnation, aid circulation and relive the nerve discomfort.